One of the first things I learned when I started BikeTrials was that braking was ultra important, especially the rear brakes. When I first bought the 26" Echo Pure trial bike, I discovered that when I used the rear brakes, the braking does not feel solid and tend to slip. Then I tried grinding the rims, but still on more than a few occasions I fell over backwards a couple of times when I tried the rear wheel stand or pedal hops. The reason the braking was not good was that the "seat stays" of the frame, where the brakes mounting were located (see bike parts illustration), will flex and expand each time the rim brakes were used. When the "seat stays" flex, the brakes will loose grip. Anyway, when I rode with Wong Xu for the first time a couple of months back, I told him about my braking problem. Wong Xu told me that he had an old Echo Brake Booster he did not use any more and that I could have it. I offered to pay him for it but he insisted that I kept it... LOL. Happily, I went home and tried installing the brake booster immediately... BUT... I found that I could not install the booster due to the rim brake bracket mounting getting in the way. Disappointed, I told Wong Xu the problem the next time we rode together. Then he taught me a neat trick. 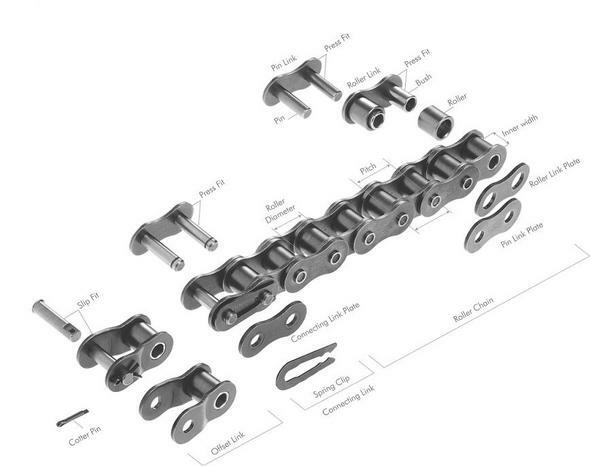 He told me to get some old chain and dismantled them, then keep the chain rollers. The idea was to use the "rollers" as spacers so that the brake booster can be mounted above the bracket. Cool! This photo shows the chain rollers that I needed. The next challenge was to find the screws long enough and will fit exactly to hold everything together. The following photos shows the brake boosters installed on my bike. The brake booster after installation. View of the brake booster from the top. This was the best I could do to align it properly. 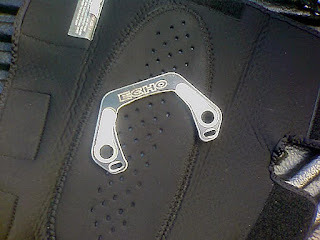 After installing the brake booster, my Echo Pure felt and rode differently! I could feel the extra rigidness in the braking. Immediately, I felt more confident in the braking and have not look back since... LOL.